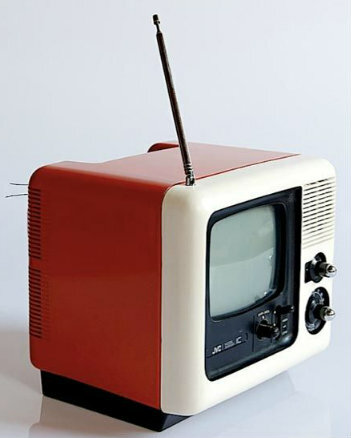 The Kuba Komet television was manufactured by the Kuba Corporation in Wolfenbuttel, Germany between the years 1957 and 1962. 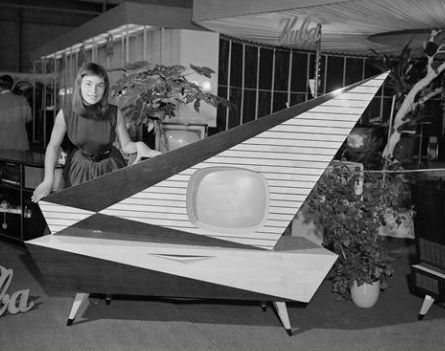 The design of this unique television was meant to resemble a 5-foot 7-inch tall, 7-foot wide sailboat with a screen in the middle. 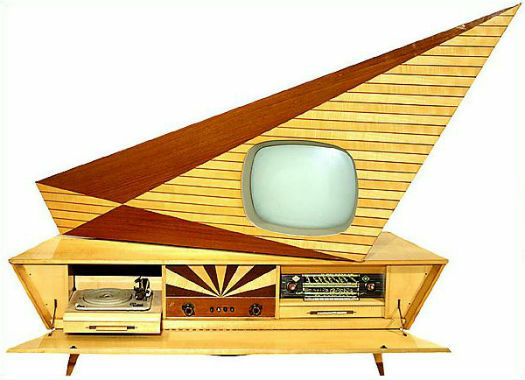 The “sailboat” portion of the television was made out of solid maple blonde-colored wood. There was also a darker wood called wenge, which is a rare type of timber that comes from West Africa only. As for the finish, a glossy polyester varethane was coated over the wood to make it shiny and sleek. 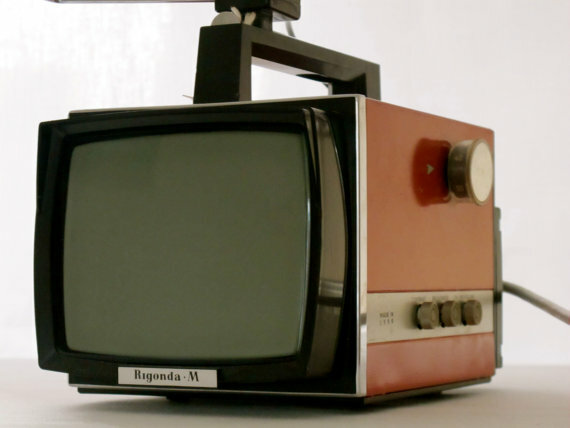 The upper portion of the Komet television held the black and white television screen. There were also cabinets built into the “sail” of the television which contained six regular speakers and two horn speakers. But the most impressive feature was its rotation capabilities. This was supposed to resemble how the real life sail on a mast can rotate around. So if someone wanted to rotate the television around to point toward a different direction in the room then they could do it easily, despite the weight of the unit being 289 pounds. The Komet was more than just a custom designed television system. It was actually an entire home entertainment center, which was a new concept back in those days. As an entertainment center, it had lower cabinets to hold multimedia accessories such as a 4-speed Telefunken phonograph, a Telefunken radio receiver and a television tuner that could pick up both VHF and UHF signals. Some Komet models were also made with a shelf which held vinyl record albums and a record player as well. 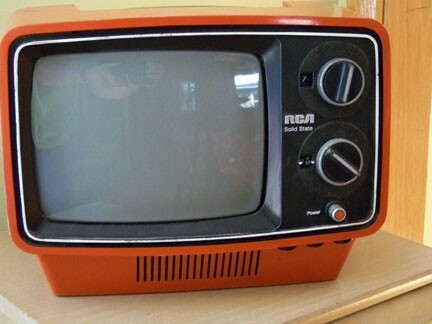 The Kuba Komet television sold for 2,798 DM, or DeutchMarks, back when it first came out in Germany. This is the equivalent of $1,260 in American money. You have to remember this was the late 1950s, so $1,260 was a lot of money back then. In fact, it was more money than what most workers made in a year. So you can imagine that only wealthier people owned these televisions. The Kuba Corporation eventually shut down in 1972. As for the Komet televisions, there are very few of them left in the world. There is one known model that was imported to Chicago, Illinois many years ago. There was also another model of the classic Kuba Komet recreated by an American company called the Fantasial. You can find this television at the Kuba Museum, which is in the place where the Kuba Corporation originally operated; Wolfenbettel, Germany. One of the more aesthetically interesting 1970’s portable tv sets is the JVC Videosphere Cube TV. It has that orange and white(now probably faded to cream) color scheme so common of that era. It has a modern, space age appearance. They were made in Japan and measure 8.5 inches height by 8.75 inches in diameter. Like other analog tvs, they will require a digital converter box in order to operate if you want to watch anything other than white noise. 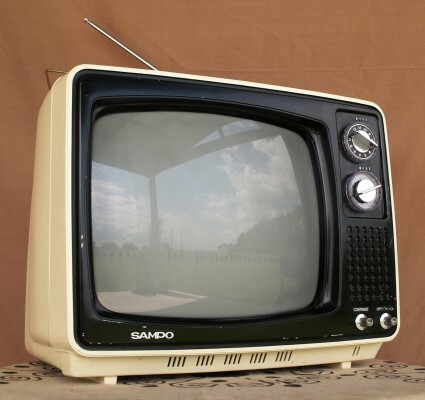 These tvs can be found relatively cheaply on ebay from time to time and are a good option for any avid collector or modernist. 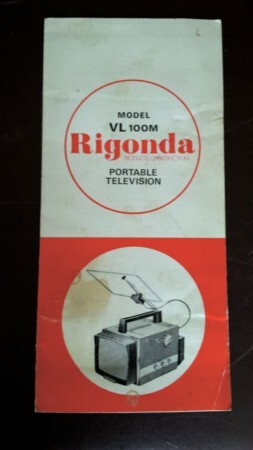 9 inch black and white portable television. These were just beautiful and could be found in many kitchens and workshops int he 1970s and early 80s.